two sisters. two minds. countless possibilities. We are still answering emails and convos, so if you have a question or would like to get on our books for orders while we're on our break - please email us at hello [!at] paperandpasteco.com or send us a convo and we'll get back to you! 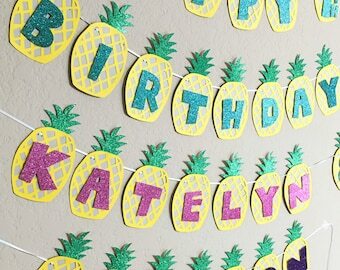 About the 4th pineapple banner we have created this week! Summer is in full effect & we can't wait to make more of these fun banners! we just shipped out 50 of these #carnival #theme #custominvitations to the U.K.! it's always amazing working on #international #orders and we're so excited for these to finally get to their destination and into our #clients hands! Love love love making these #mermaidtheme #cupcaketoppers! Hello & welcome to our shop! We are the Tee sisters! 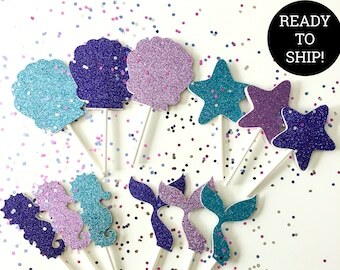 We were first introduced to the crafting world back when we were little girls & when Creative Memories first started their business (yes, that long ago!). We have since then expanded our creative skill set to digital scrapbooking, banners, party decor/signs, invitations & cards, and many other things. We continue to expand our abilities in the paper goods world and are excited to keep pushing our limits as we continue to produce quality products. Crafting is our passion, our hobby, and sometimes our way of relaxing! Of course, we all know the phrase "2 heads are better than 1" so with our creativity combined, we come up with great ideas and great products so that we can provide you with quality hand-crafted products created especially for you. Welcome to Paper + Paste Design Co.! Take a look around our shop & please contact us with any questions or any custom order requests. We ask that you take a moment to review the 'Shop Policies' prior to placing an order to ensure we will be able to fulfill your expectations. Because each item is custom made for the client, there are no refunds or returns on digital and physical items. If there was an error created on our part, please let us know & we will make the corrections right away. • We encourage all of our clients to please PLAN AHEAD and allow enough time between placing the order & the "Need By Date" as all of our products are hand-crafted and made-to-order. We do not keep a ready inventory on hand unless otherwise stated in the listing. • Please make sure the shipping address you have on your ETSY ACCOUNT is correct. We are not responsible for lost packaging if the address on file is incorrect. We ship via USPS Priority Mail unless otherwise stated in the listing or requested by the client. We will email you when we have shipped out your order. Please take into account USPS does not ship on Sundays or major holidays. • US orders: typically takes 2-3 days. • Tracking & Delivery Confirmation is included in your shipping fee. • Insurance is not included in your shipping fee. If you would like to add it please let us know and we will adjust your shipping accordingly. • Depending on your order, we will use a small, medium or large flat rate shipping size boxes. If the packaging used for your order is less than or greater than the shipping rate paid, we will contact you to discuss the pricing adjustments. We ship via USPS Priority Mail International, unless otherwise requested from client. We do encourage our international clients to contact us FIRST, so that we can double-check the postage rate. • International orders: typically takes 6-10 business days. • The client is responsible for all shipping and tax/VAT costs associated with the purchase. • All shipping delivery estimates do not account for possible delays caused by customs processing. Consult your country’s customs and import policies prior to placing your order to ensure you will receive package in time for your event. • COMMUNICATION is key when it comes to shipping your orders out on time. Any delays in proof approval or other communication on client's part WILL cause a delay in shipment. • THE LAST DAY FOR 2018 ORDERS WILL BE 12/17/18. ANY ORDERS PLACED AFTER THAT DATE WILL NOT SHIP TILL JANUARY 9, 2019. Please be advised that we only take a limited amount of INVITATION orders per month to ensure quality of our products. + Turnaround time for existing items in the shop: approximately 10 business days (not including weekends and holidays). Rush Service is not available at this time. + Proof Policy: We offer 3 rounds of complimentary proof revisions. Thereafter, each revision will be $5.00. Once a proof is approved it goes into production, if a revision is requested after production has started, there will be a $10 reprinting fee. + NEW Custom Invitation Orders: approximately 14 business days. Rush Service is not available for NEW custom orders at this time. A $15 non-refundable deposit is due before any work can begin. This deposit amount will go towards the final balance. Once design & quote has been approved, a final invoice will be sent and is due upon receipt. Any delays in payment, will cause a delay in shipment as all invoices must be paid prior to shipping. + Shipped via USPS 2-3 Day Priority unless otherwise requested. Please contact us - processing time varies based on order. Colors may vary slightly due to the variations of monitors. By purchasing our listing, you are agreeing to our terms and conditions.